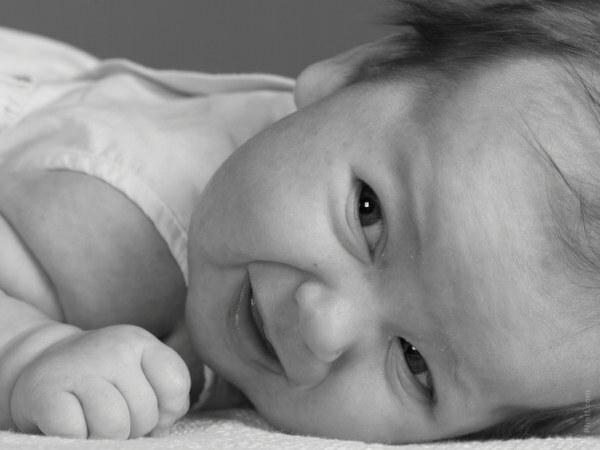 Suppuration of the eye in a newborn is quite a common problem that could scare an inexperienced mother. However, in most cases, symptoms go away within a few weeks if the right approach to the hygiene of the little one's eyes. Causes of pus in the eye of the newborn can be several. To identify them for sure, may require the examination of the eye. However, if pus is allocated a very small amount and the baby shows no other signs of distress, do not hurry to run to the doctor. First check whether simple hygiene rules. The eyes of the newborn must be maintained in sterility. This means that there should be contact with unboiled water and all other liquids and especially of substances that can enter the eye, flour, pollen, sand, fibers from wool and so on. In any case, purulent eye should be washed. You need to take a thick cotton pad or swab (so it does not leave lint like a regular wool) and dip it in antiseptic solution, to wash their eyes of the baby in the direction from the outer edge to the nose. If there is pus in both eyes, then use one cotton disc for each eye - that is, it is not necessary to flush both eyes with the same drive to avoid transmission. For the same reason you need to use every time a new, unused piece of cotton wool. Rinse eyes baby everytime pus. Also, in order to prevent repeat this process morning and evening. The main causes of suppuration of the eye in neonates is irritated by instillation into the eyes of the baby sulfacetamide in the hospital; inflammation due to the presence of bacteria; the inflammation of the lacrimal SAC (dacryostenosis, or dacryocystitis). Furatsilin is most available in tablet form. So just take one tablet of furacilin and dissolve it in half Cup of boiled water. Then strain to undissolved crystals tablets not hit the baby on the mucosa. Use only freshly prepared solution. Tablet furatsilina poorly soluble in water, so before you put it in water, mash it into powder, and then pour the boiling water and let cool. After washing the eye, it is useful to drip 0.25% solution of chloramphenicol. To do this, pull the lower eyelid baby down and dispense 1-2 drops of the solution. If pus are not, get tested - strokes to determine the flora and sensitivity, to consult your optometrist. He has to put a diagnosis and prescribe appropriate treatment. Discharge from hospital is a joyous event for new mothers. At this time, the girl will learn a lot. Every problem begins to cause mom to panic. Often such a problem may be purulent discharge from the eyes in the newborn. 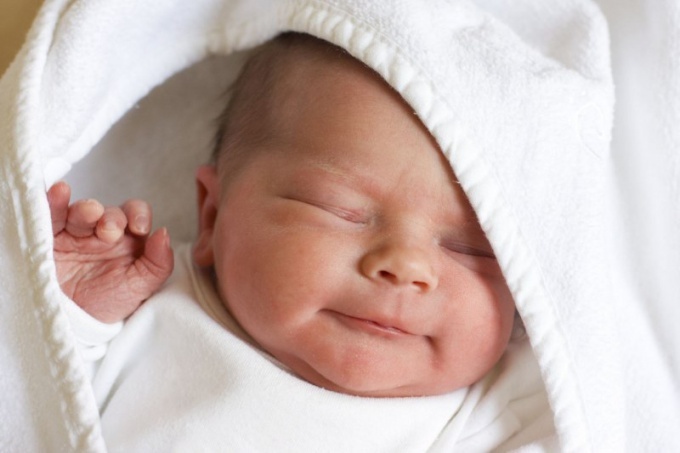 There are many different reasons that contribute to eye disease in the newborn. Such diseases include, for example, conjunctivitis. It can be divided into several types – bacterial, autoimmune, viral, allergic origin and are caused by chlamydia. The main symptoms of conjunctivitis is the inflammation of the eyes, redness, lacrimation, purulent discharge from the eyes of the baby. The causes of this disease is the ingestion of a newborn bacteria Streptococcus, Staphylococcus, gonococcus, and influenza viruses, SARS, measles, herpes, adenovirus. Often the disease is transferred from a young mother-to-child during childbirth. Failure to comply with medical staff rules antiseptics also can promote secretion of pus from the eyes of a newborn. Cause conjunctivitis can allergic reactions to dust, odors and chemicals. Accurate diagnosis can only ask a medical professional. Five percent of eye diseases in newborns is such a thing as dacryocystitis. The disease is obstruction of the lachrymal canal, when the eyes of the stagnant film and into the body of a newborn gets the infection. In any case the baby should be shown to the ophthalmologist. Therapeutic measures apply proper care of the eyes of a newborn. Treating eyes baby need every day. Processing must be carried out only with clean hands. Each eye is a separate cotton swab. Drugs for the treatment of newborn's eyes there are many. This furacilin, decoction of chamomile, solution of boric acid. To find out which tool is best suited for eye treatment toddler need to consult with optometrist. Dacryocystitis in a newborn treated in the early stages of the disease, the sooner, the better. At the initial stage of dacryocystitis doctor prescribes massage the tear ducts. It is thus: the cotton swab with the eyes of a child is removed pus. The swab should be juicy in a solution of furatsilina. Movement occurs from the outer edge to the inner eye. After that, fairly strong jerky movement, you need to conduct the index finger along the tear ducts from the bottom up, as if squeezing to the corner of the eye. During the procedure of your little one's eyes can stand out tears or pus. After the massage, the baby need put antibiotic drops prescribed by your doctor. They need to drip for ten-fourteen days.